Aidan Turner was the 2014 recipient of Best Male Newcomer at the Jameson Empire Awards. With notable past roles as a dwarf, vampire and a famous Pre-Raphaelite painter, Aidan Turner transforms himself yet again — this time into Captain Ross Poldark, a rebellious British Army officer and mining heir who returns to his downtrodden Cornish countryside and his disloyal sweetheart after fighting in the American Revolutionary War. Adapted by Debbie Horsfield from the novels by Winston Graham, “Poldark” peaked with 9.4 million viewers during it’s first season on the BBC and garnered a rabid fan base both at home and abroad. The second season is set to air this fall on the BBC and PBS’s “Masterpiece” in the US. Earlier this month, the BBC ordered a third season (10 new episodes) of the hit series. On film, Turner next co-stars in Jim Sheridan’s forthcoming THE SECRET SCRIPTURE, an adaptation of Sebastian Barry’s acclaimed novel. The film stars Rooney Mara as a woman who chronicles her early years in a Roscommon mental hospital. Jack Reynor, Theo James, Eric Bana and Vanessa Redgrave co-star. Turner also stars with Saoirse Ronan and Douglas Booth in LOVING VINCENT, the first painted animated feature that follows the final months and mysterious death of artist Vincent Van Gogh. Live action footage was filmed and then projected, frame by frame, onto canvas and painted over in oils in the style of Van Gogh. Dorotea Kobiela and Hugh Welshman direct. In the independent comedy LOOK AWAY, Turner stars alongside Matthew Broderick, Chloë Savigny, and Shannon Tarbet. LOOK AWAY follows heroine Bess Kraft (Tarbet), a strong, thoughtful young woman who is unable to physically see her mother due to a fictional affliction called selective blindness. With the help of an eccentric psychiatrist and local, accidental hero Russell (Turner), Bess grows up, falls in love, and takes hold of her future. LOOK AWAY is directed by Andy Delaney and Monty Whitebloom of BigTV! from a screenplay by Jennifer Schuur (Variety’s Top Ten Writers to Watch).. Previously, Turner co-starred as Kili, the rogue dwarf who romances Evangeline LIly’s elf in Peter Jackson’s epic trilogy THE HOBBIT, with Martin Freeman, Cate Blanchett and Sir Ian McKellen. For his performance in the second film, THE DESOLATION OF SMAUG, Turner garnered Bet Male Newcomer at the 2014 Jameson Empire Awards. He also appeared as Luke Garroway in THE MORTAL INSTRUMENTS: CITY OF BONES for director Harold Zwart. Turner graduated from Dublin’s prestigious Gaiety School of Acting in 2004. Following graduation, he worked extensively on stage. Turner’s noteworthy credits include the roles of Paris in Shakespeare’s “Romeo and Juliet” and Arden in the world premiere of Vincent Woods’ “A Cry from Heaven,” both at Ireland’s national theatre — Dublin’s The Abbey. He also played Corporal Stoddard in the Abbey Theatre production of Sean O’Casey’s “The Plough and the Stars” at London’s Barbican Theatre. In 2008, Turner made the transition to film and television with a starring role in the Gerard Stembridge’s independent feature ALARM and as series regular Ruairi in the popular Irish TV drama “The Clinic.” In 2009, he moved to the UK to take on a starring role in the BBC’s BAFTA-nominated hit series “Being Human.” Turner spent three seasons as spellbinding vampire Mitchell, during which he also starred as libertine artist Dante Gabriel Rossetti in the BBC mini-series “Desperate Romantics.” Turner’s television credits also include the critically acclaimed BBC TV movie HATTIE, which drew record ratings for the broadcaster. Last year, he starred as the mysterious world traveler and former military man Philip Lombard opposite Charles Dance, Miranda Richardson, Sam Neill and Maeve Darmody in an acclaimed two-part adaptation of Agatha Christie’s “And Then There Were None” for the BBC. Aidan Turner has no social media accounts! ”I don’t do social media—maybe people should know that, because there’s probably a bunch of fake Twitter things out there, Instagrams and all that, and Facebooks. After finishing secondary school, Turner briefly worked as an apprentice electrician, alongside his father. Turner became interested in acting after working in a cinema and applied to the The Gaiety School of Acting at the age of 19. graduating in 2004. After this, he appeared in several theatre plays, including The Plough and the Stars, Romeo and Juliet, and A Cry from Heaven. Turner’s television acting career began in 2007 with an uncredited appearance on the first episode of The Tudors. Between 2008 and 2009, he appeared in a recurring role on The Clinic. Appearing in 18 episodes as Ruairí McGowan, he followed The Clinic with a BBC production, Desperate Romantics. He portrayed Dante Gabriel Rossetti in all six episodes of the show, which aired in 2009. Turner played the vampire John Mitchell on the supernatural drama programme Being Human during the first three series from 2009 to 2011. His film career began with two short films, The Sound of People and Matterhorn, both in 2007. He later played Mal in the thriller feature film Alarm (2008). His role on Being Human brought Turner to the attention of Peter Jackson, who cast him as the dwarf Kíli in The Hobbit trilogy (2012–2014). In 2014, he won the Empire Award for Best Male Newcomer for the second film in the series, The Desolation of Smaug, which had been released the previous year. In 2013, he also played shadowhunter-turned-werewolf Luke Garroway in The Mortal Instruments: City of Bones. Turner portrays the titular character Ross Poldark in the 2015 revival of the BBC series Poldark. In the 2015 BBC TV miniseries And Then There Were None, based on the Agatha Christie novel, he plays the cynical mercenary Philip Lombard. Irish actor Aidan Turner stole American hearts when Poldark rode onto our screens last year. Get to know anything and everything about the star that took the UK by storm; start with these six things you need to know about Aidan Turner. Long before dancing in the fictitious assembly rooms of Cornwall, Turner was nimbly leading partners across the dance floors throughout the UK as a competitive dancer, having trained for a decade in Latin American and Ballroom dancing! Tango, anyone? Aidan Turner has his very own fierce little Kili Lego minifigure from his work on The Hobbit films. Perhaps he’ll soon get a Playmobil Poldark, lovingly created by Cornwall native and Poldark super-fan Leon Hickmott, to display alongside it! For his role in Poldark, Turner had more than muscles under his billowing white shirt. Poldark’s hair and makeup stylist Jacqueline Fowler told RadioTimes, “I only had to cover up his tattoos—he’s got two on his upper arm, one of them is Chinese writing, the other I can’t remember—if he was shirtless or in bed.” Another Turner/tattoo connection: he’s set to hit the big screen alongside Girl With the Dragon Tattoo star Rooney Mara (and Theo James, Downton Abbey’s Kemal Pamuk!) in the upcoming feature film The Secret Scripture. 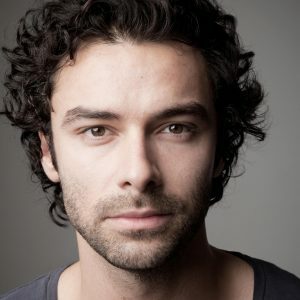 Aidan Turner was born in Dublin, Ireland in 1983. After graduating from the Gaiety School of Acting in 2004, Aidan appeared in a number of stage productions, many with Ireland’s national theatre, The Abbey. Such productions included The Plough & The Stars, Romeo & Juliet and A Cry from Heaven. In 2008, Turner made the transition to movies and television with a lead role in the film Alarm and a co-starring role in the popular Irish TV drama The Clinic. In 2009, Turner moved to the UK to take on a starring role in BBC’s acclaimed Being Human. 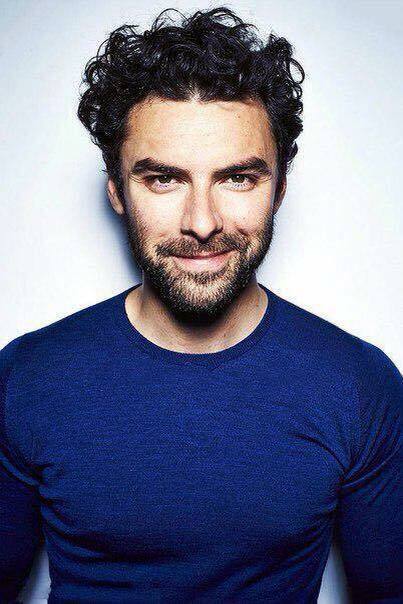 Aidan played the spellbinding “Mitchell” for 3 seasons during which time he also starred in BBC’s Desperate Romantics and BBC’s top rated TV movie Hattie. In 2011, famed director Peter Jackson cast Turner in the role of Kili in JRR Tolkien’s The Hobbit. The highly successful movie trilogy filmed for approximately two years in New Zealand during which time Aidan also starred in Cassandra Clare’s The Mortal Instruments. In 2014 Turner was cast as Poldark in the BBC remake. Aidan was the only actor considered for this charismatic hero. Poldark premiered to excellent rating in the UK in March 2015 and also in the USA in June 2015. The BBC series is also airing across Europe and Australia. In 2015 Aidan took on a small role in The Secret Scripture so he could work with one of his favorite directors, Jim Sheridan. He also voiced a role in the first painted animation movie, Loving Vincent, co-starred in the dark comedy, Look Away and starred in the BBC mini series, And Then There Were None.